Jamaica is overloaded with talented people with a knack for innovation and business zeal. 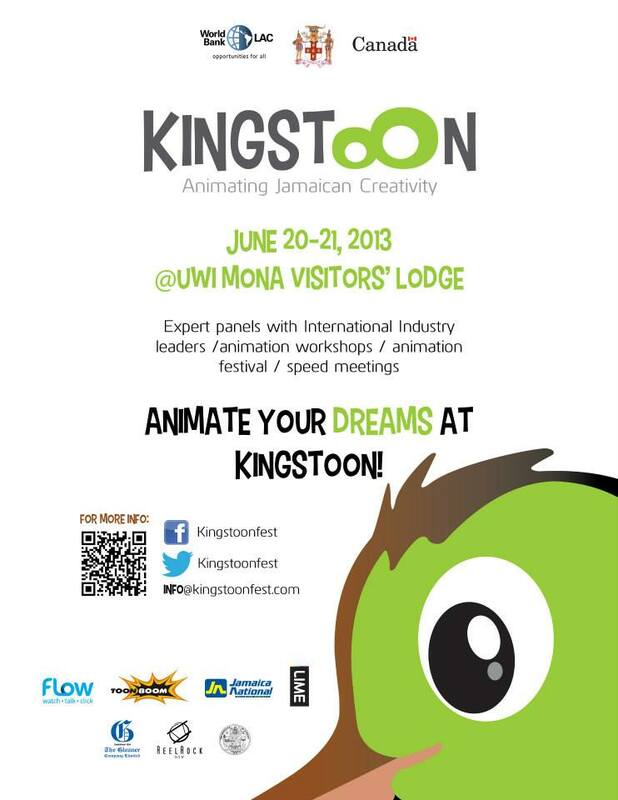 Hence when the World Bank, through its Jamaica Country Office, contacted me to be a Ambassador for its upcoming KingsTOOn Festival, a 2-day Animation Conference and Film Festival to be held at UWI Mona Visitors’ Lodge on June 20th and 21st, I did not hesitate. To be honest, I was brimming with enthusiasm for several reasons, chiefly because of the opportunity, but more importantly the general ethos of ‘animating Jamaican creativity’ (the event’s theme). What particularly tugged at me was how the festival could be a catalyst for employment and, prospects for professional careers for Jamaicans and foremost a platform for interactions with persons/companies in the global animation industry. On Friday, May 24, 2013, I and 11 other youngsters from Jamaica and the Caribbean accepted our roles as “KingsTOON Animation Media Ambassadors”. Amongst our duties are: Actively promote KingsTOON Festival; engage young Jamaicans and Caribbean nationals about the festival and the animation competition. In this regard, over the next couple weeks leading up to the KingsTOON Festival, I will be sharing blog entries and interviews here, tweeting from @Lgrandison and posting pictures via my Instagram account. KingsTOON is a 2-day Animation Conference and Film Festival, bringing together leading global animation companies with local animation companies, operators, investors, students and policy makers to turn talent and skill into a significant and professional career to satisfy a growing demand/gap for animation products. The festival which takes place over two day, June 20-21, 2013, at UWI’s Mona Visitors’ Lodge & Conference Centre will help Jamaicans and Caribbean nationals etch a share of the over US$222.8 billion industry. Winners will receive full scholarships to study animation in Canada at Sherdian College and Nova Scotia College courtesy of the Canadian High Commission; Animation tablets; animation software; Mac Computers; Internship with companies in the Caribbean and training with Canadian software company ToonBoom. Enter the Animation Competition now! Visit http://www.facebook.com/Kingstoonfest for more info. 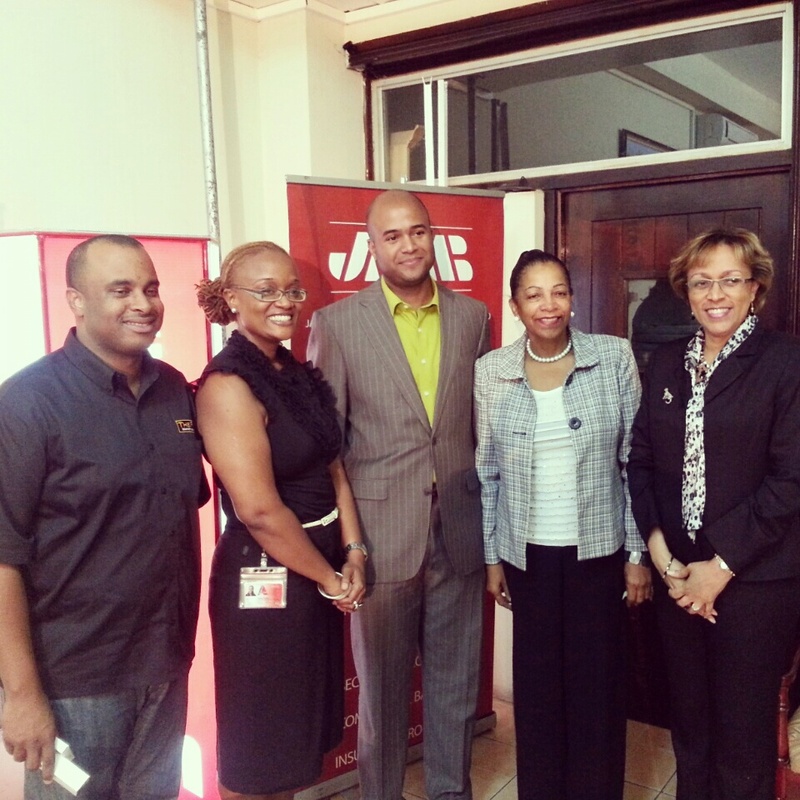 (From Left) Ian Lyn CEO of the FIRM Marketing Agency, Nadine Rawlins of Guardsman Group of Companies, Scotiabank’s Omar Spence, Kia’s Claudette Chin and Karen Tomlinson at RBC Royal Bank representing sponsors gather for a photo op at the Jamaica Motor Show Press Launch Wednesday evening. Karen Tomlinson, Senior Manager at RBC Royal Bank signaled that joining forces with the Jamaica Motor Show will be an excellent partnership. “We’re proud to be on board and to be associated with the Jamaica Motor Show brand as we recently launched our car loan services with low monthly payments and interest.” Tomlinson was quick to highlight that RBC Royal Bank was being true to the slogan “get your keys with ease”. Guardsman Group’s Nadine Rawlins also announced her company’s pledge to offer a special security tracking to persons attending the Jamaica Motor Show this Saturday. “Security is important for car owners and the Guardsman Group is prepared to offer patrons at the motor show on Saturday a free installation of our security tracking system with a special onetime monthly charge of $2500 thereafter,” gave Rawlins to huge applause. Adults can pay only $250 flat for entrance, while children are free, to experience this as well as the unveiling of the KIA Sorento and the Tata Nano for the first time in Jamaica. The Firm Agency is pleased to announce its 6th staging of the Jamaica Motor Show to take place on the grounds of the Jamaica Police Officers Club, January 19 starting at 10am. The annual show for used and new car dealers come on the heels of a successive return auto show that kicked off in Kingston last year then travelled to Manchester and Montego Bay to offer many ‘premium car deals’. 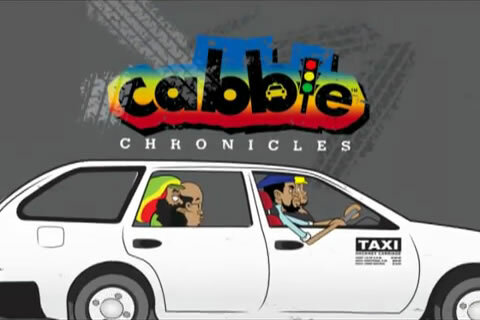 A huge highlight of the 2013 Jamaica Motor Show will be the addition of a Car Stereo Competition. “Music is a part of who we are as Jamaicans, and globally we’re recognized for that through the works of our entertainers,” gave Lyn as he explained the reason for the addition. Continuing, “It’s customary while walking or driving down the road to hear music being pumped from a car with a good stereo system. In seeking to improve on last year’s show, we thought this would be an innovative move to find the best car stereo system.” The winners in the competition will be presented with prizes from the sponsors. 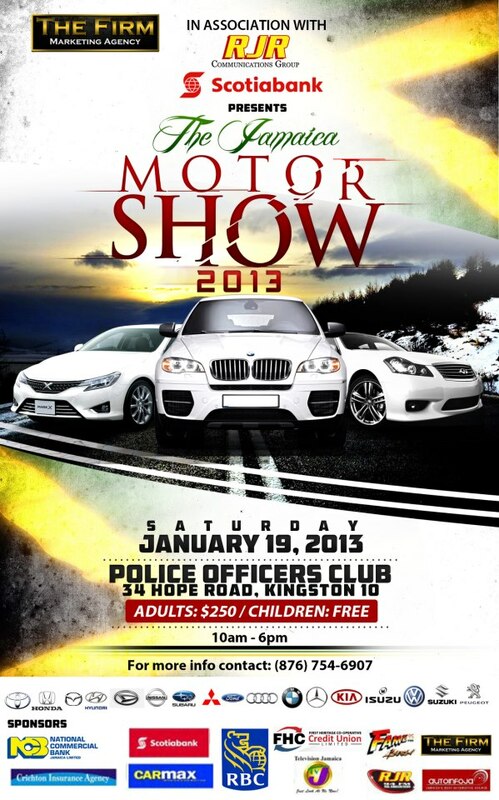 The 2013 Jamaica Motor Show will be held at the Police Officer’s Club, 34 Hope Road, Kingston 10 on January 19, 2013. Caribbean Fashionweek, popular known as CFW, takes another giant step forward in 2012, as the Pulse event is said to be redoubling its efforts to take Caribbean fashion to a place of enhanced respect, recognition and profit, at the centre of world fashion, June 7-11, 2012. Of course one expected this as CFW, which usually signifies the beginning of the summer season, was launched in the United Kingdom at the first International Fashion Showcase during London Fashion Week, organised by the British Council and the British Fashion Council it gave presenters of CFW the opportunity to engage the International fashion community and to promote participation in the 2012 event. With such fanfare for a launch we expect nothing but razzle-dazzle from CFW and Pulse this year. Perhaps even an appearance from Adele to bring the house down. In this the year of our jubilee, CFW continues to be executed in partnership with Caribbean stakeholders, including the Caribbean Export Development Agency, the Caribbean Fashion Industry Association, Jampro, the Jamaica Tourist Board, various related Governmental and non-Governmental agencies, as well as other regional stakeholders and industry professionals. The event takes place June 7-11 and is presented and produced by Pulse. Jamaica and the British Empire today celebrates Emancipation Day, a day in which we individually recall the enslavement of our people. whether we be Jamaicans or Trinidadians, to free themselves of what we now have come to dubbed, ‘crimes against humanity’. Many, the world around us, are quick to argue that we still remain ‘enslaved mentally’, citing claims of our dependency on foreign culture. Truth be told we’re who we are now because of where we’re coming from. Our ancestral heritage have left was with numerous heroes and heroines, some of whom have been lauded for their efforts, in assisting us to achieve ‘freedom from Backra’. During this Emancipation and Independence week let us reflect on the strength, struggle/resistance, and above the reason these individuals along with the women, men, girls and boys who found for us to achieve what we now have. At this time when all seem to be nothing but chaos, criminals are rampant, lawlessness seem to be the order of the day we MUST ensure that we don’t fall slaves to our fears of these elements that seem bend on crippling the society or fore-parents fought so hard to get, so we could live free of oppression and injustice. As i leave you in the strength of Nanny, Paul Bogle, Sam Sharpe, and our other National Heroes, i asked that you reflect our our National Anthem, Pledge and Song, for in them we’ll all find a conviction to make small and even large changes to our lives. Guard us with Thy mighty hand. Stir response to duty’s call. – for use in schools at the beginning and end of term and on other special occasions.Before God and all mankind, I pledge the love and loyalty of my heart, the wisdom and courage of my mind, the strength and vigor of my body in the service of my fellow citizens. I promise to stand up for Justice, Brotherhood and Peace, to work diligently and creatively, to think generously and honestly, so that Jamaica may, under God, increase in beauty, fellowship and prosperity, and play her part in advancing the welfare of the whole human race. As God and faith shall live.